It was 2009, all excited, we opened a brand new shop. 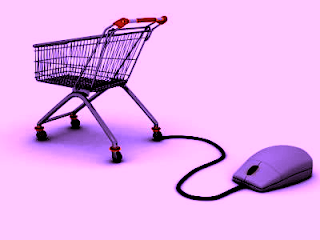 Full of hopes and ambitions, not knowing what the market was like, we quickly jumped into e-commerce. We laughed at the thought of the limited amount of e-commerce websites in Lebanon: such a wasted opportunity, right? Wrong. A major lesson in market selection (recalling post-graduate Marketing lessons) is that when you think you found an untapped market that seems like a great investment... well, think again. There's a reason why all those investors have avoided it... and this was a fact. They weren't stupid, uneducated, or incapable, as many highly active Lebanese internet users seem to think. They knew better. They knew that the market was not ready yet. We carefully went for "payment upon delivery"considering the Lebanese reluctance of paying online. Well, guess what? It was not just the online payment that seemed to be the barrier. Lebanese really like to be guided in their purchases. Very few online purchases were completed without a prior phone call! "Hello, I would like to buy this item on page 3, do you think it's a nice color?" "Hello, what do you think of this product? Would it be nice for my father?" Case in point - 1 - Lebanese like to have a second opinion. The salesperson seems to be a must. -There's something called "add to cart" and then you get a form to fill. -Yes, but since I called, do you mind taking the information? Case in point - 2 - Lebanese seem to dislike self-service? Or maybe they just cannot deal with procedures? Whatever the reason, the lack of e-commerce websites in Lebanon is mainly due to a resistance from the market rather than from the organizations. The field is not as lucrative as it may appear to be; unless you offer some really good incentives for people to go for an online bargain... Something that Groupon-like models have successfully adopted. I think your conclusion was made threw your experience with CaptnCaptn (assuming).. Your target audience is minimal considering 23.7% of Lebanese population use the internet. When you take the number and cross intersect it with an audience that have interest in buying online and interest in gadgets its quite a Niche. As you can see the Ecommerce Landscape specifically in Lebanon is not ready yet. I think is more viable to target a "region" better than targeting a country like lebanon. Thanks for your feedback Wissam! Good points you raise here. The online business in our case is only complimentary to the retail branches. It's not about a small audience, but an odd usage of the system, if I may call it that. This post was mainly for those criticizing the companies that aren't there yet. I think it is a great post if you look at it from the characteristics and behaviour perspective. Attitude of some Lebanese do mimic this culture anti-self-service models opposed to automation and reliance. This is not only a Lebanese issue, but it is a cultural issue in MENA. Studies shows that the UAE and mainly Dubai has greater success with eCommerce model due to its vast foreign community that already adopted this business model years ago. It is 100% right! i really liked the way it was interpreted in the post. The resistance comes from the consumer and the Consumer Behavior in Lebanon is still so far from adopting a new shopping style. It is a whole culture that it would take more time to change. On thing corporations are trying to do, is to open till late night, since most of the Lebanese works so the shopping time has shifted to evening time. Some Banks also got this notion and they started to open Branches that remains open till 10:00 PM in some MALLs. I think an important factor is also the target demographic, and the products being sold. 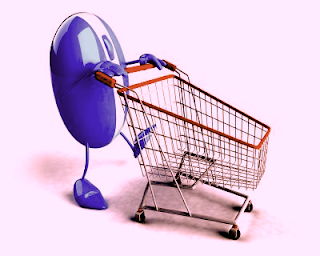 I'm comfortable with online commerce and regularly place orders at online shops to deliver electronics and PC hardware. These shops don't even have a physical storefront (example: pcandparts.com) though they do have phone support. I also know a pastry shop that regularly received orders via twitter after customers peruse the website. But if I were to buy something like a three piece suit, or a couch, I'd want to go to the store and check the product face to face, try it out before deciding on a purchase. There's one website I can think about in that regard "buylebanese". It targets people looking to purchase Lebanese goods. "is the government supportive of SMEs" - it depends what kind of support. "do banks offer facilities for them for online payment" - As you probably know, PayPal and his likes are not available in Lebanon due to some law deficiency (they are not protected) - last I checked, Bank Audi did provide an online payment service but did not cover the US, saying many frauds originate from there. There are other companies that do the job though. "how about tax, insurance and shipping costs?" taxes are similar as on the ground. As for insurance and shipping, you'll have to see case by case. I hope this was a little helpful.